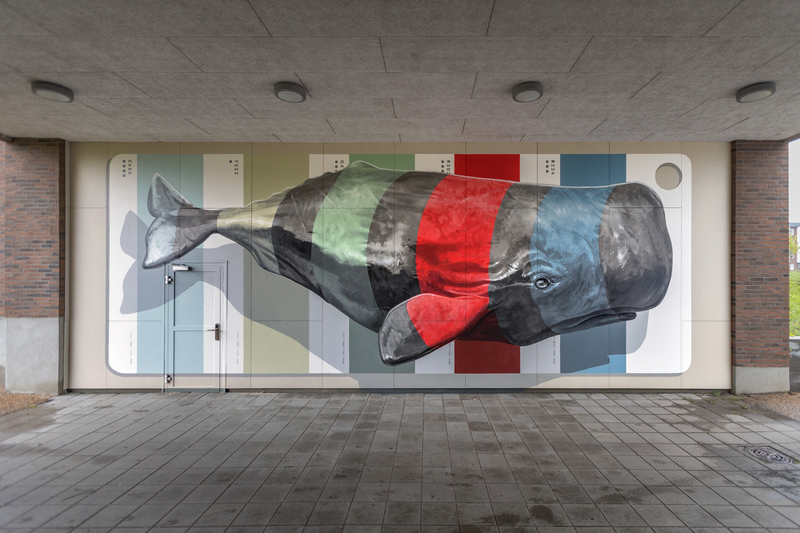 Nuances Selection are the two newest murals to grace the Danish city of Aalborg, and we have NEVERCREW (Christian Rebecchi and Pablo Tongi) to thank for the awe-inspiring artworks. 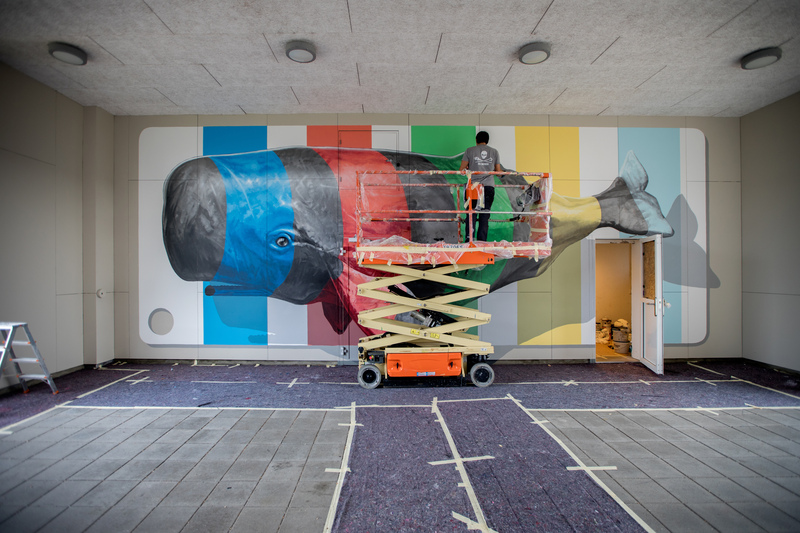 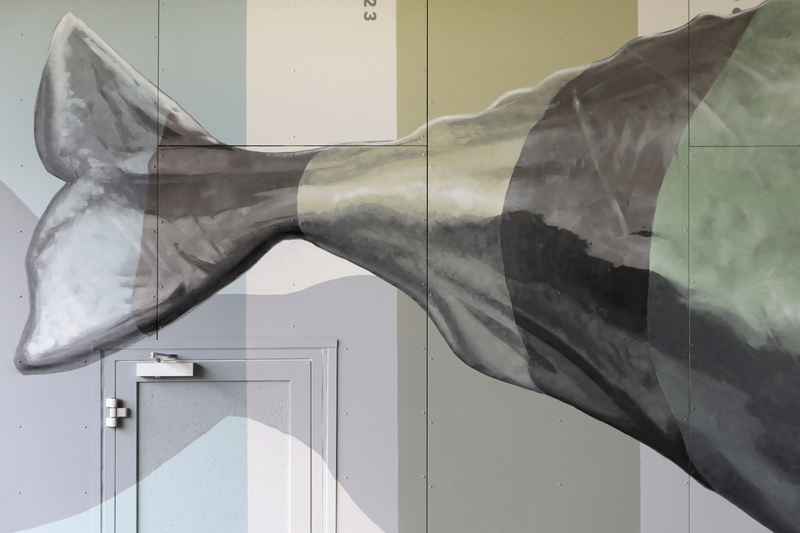 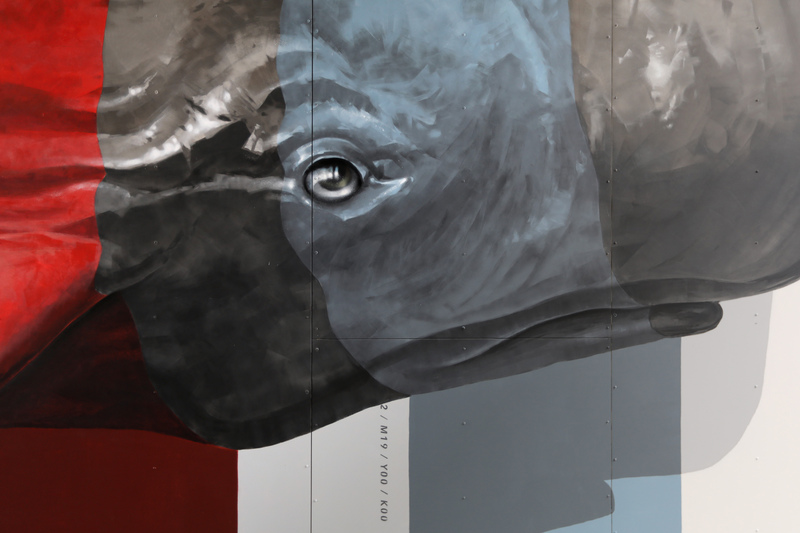 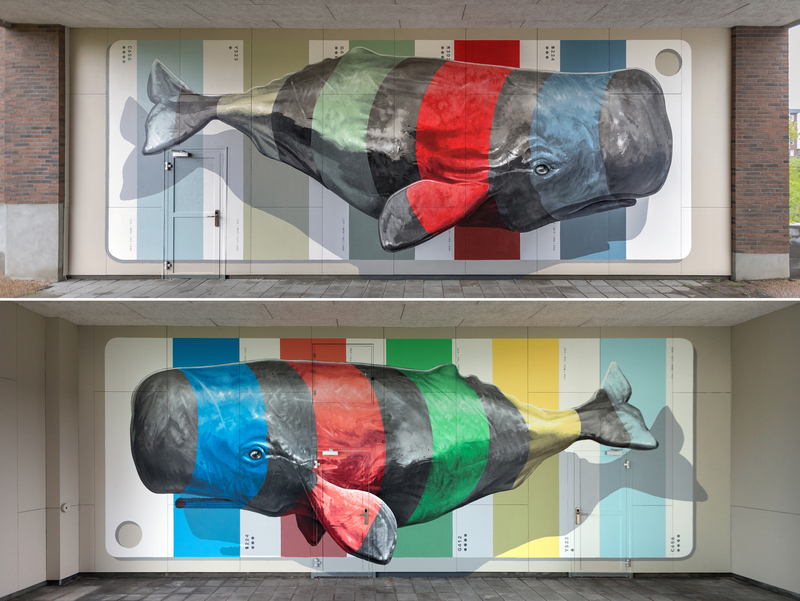 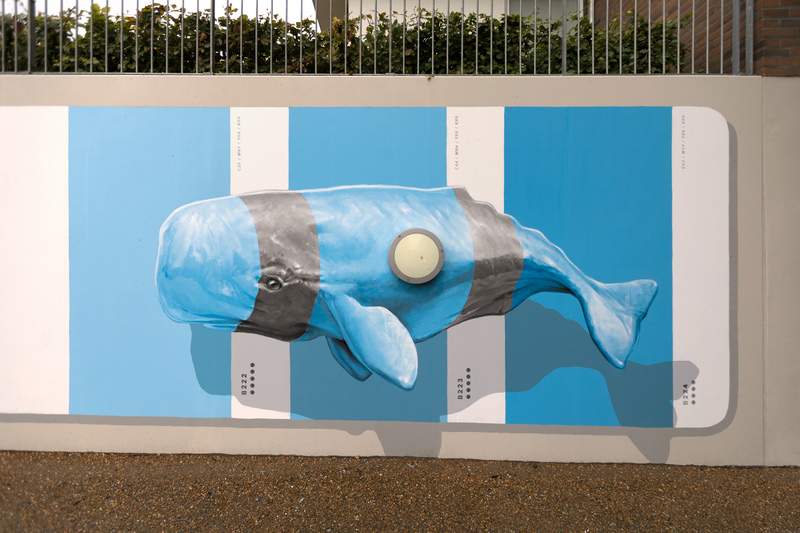 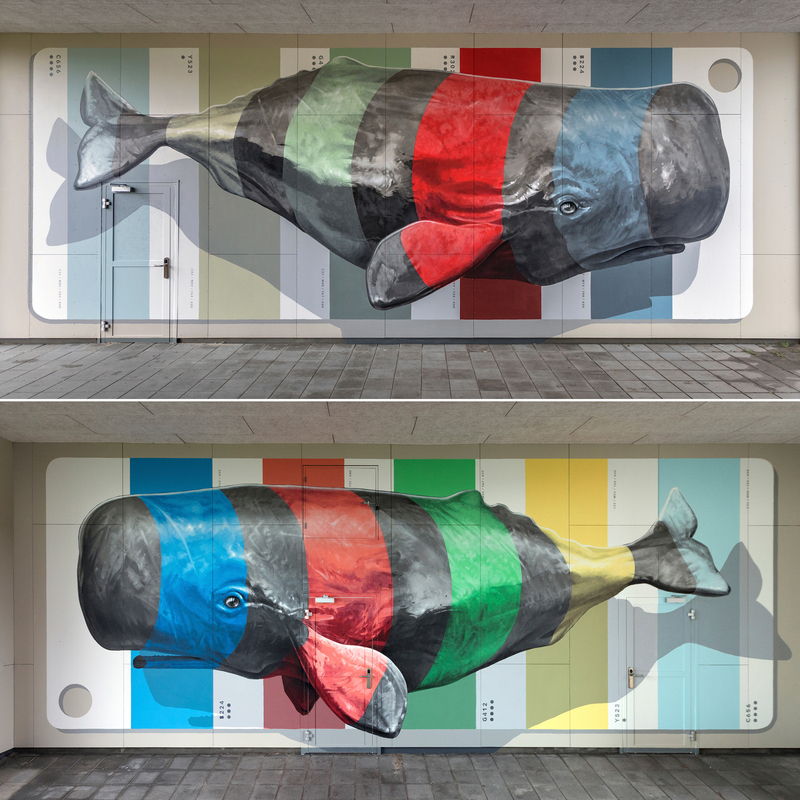 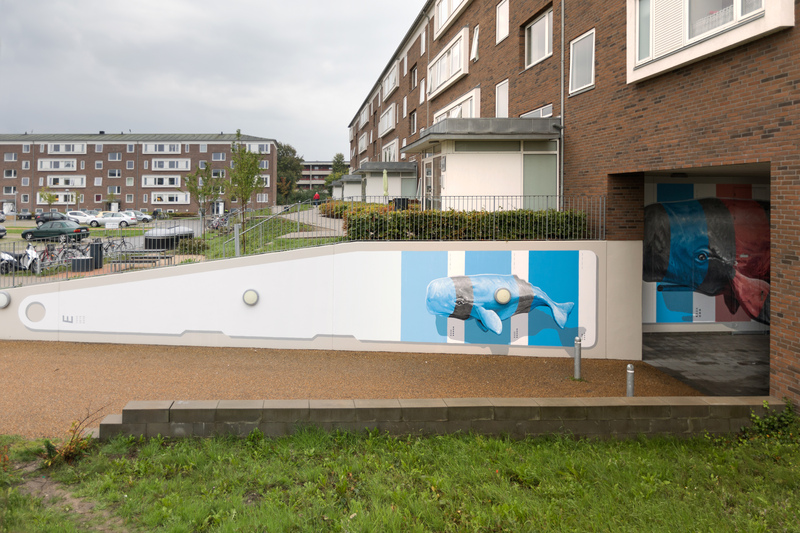 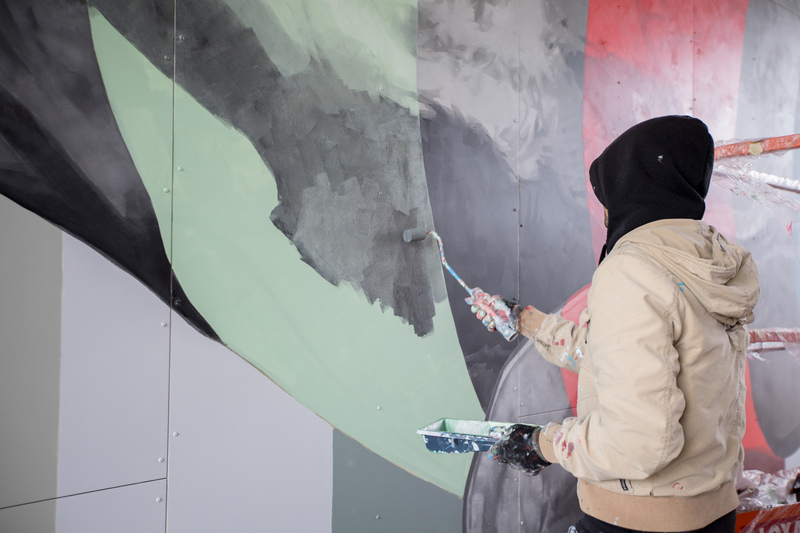 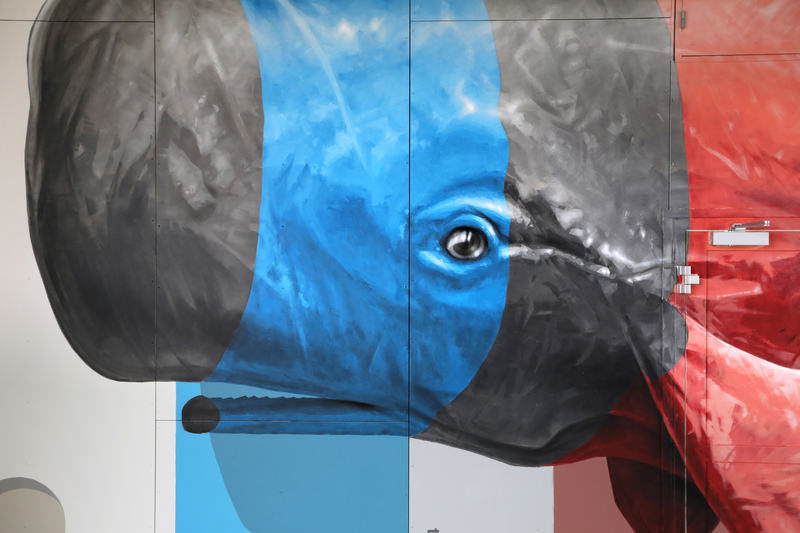 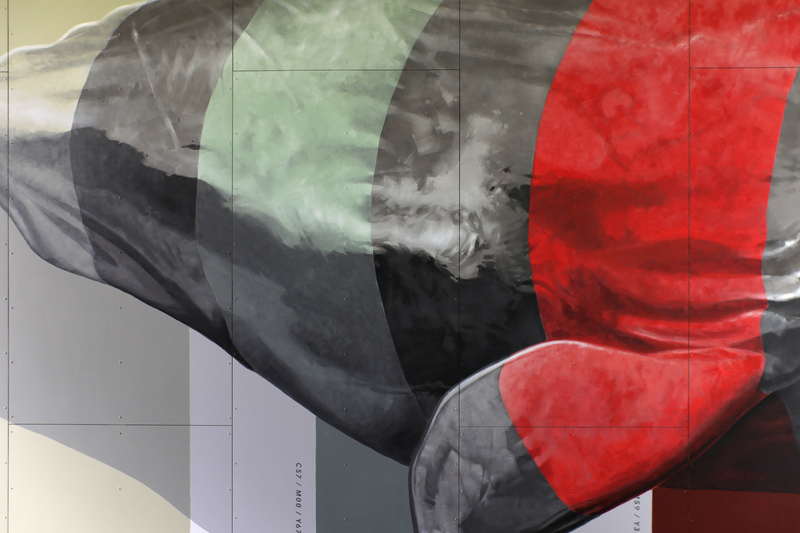 The murals feature a couple of sperm whales hovering before color charts, their bodies are covered with red, blue, yellow and green stripes that match the background. 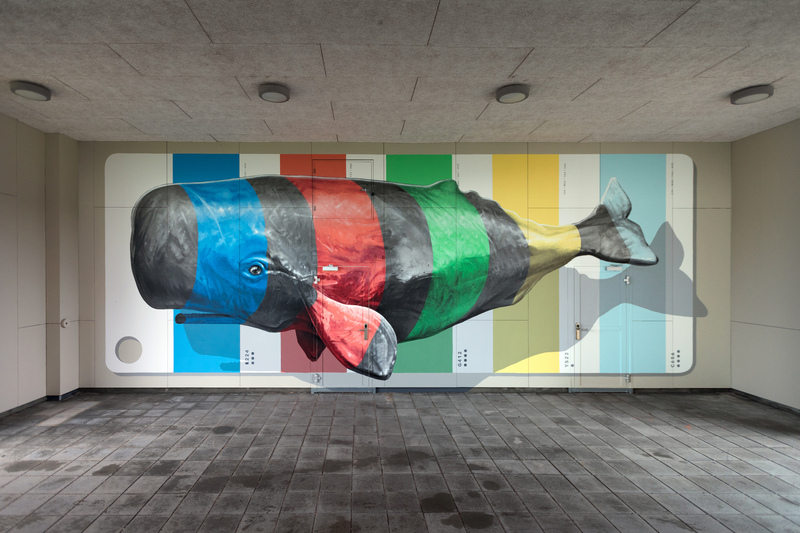 The artists describe the project as a “fragmentary timeline whose evolution is the result of choices and understanding of reality, of the active participation it in and the consequent awareness.” The project was curated by WEAArt, an artistic initiative dedicated to bringing street art to public spaces in the city.